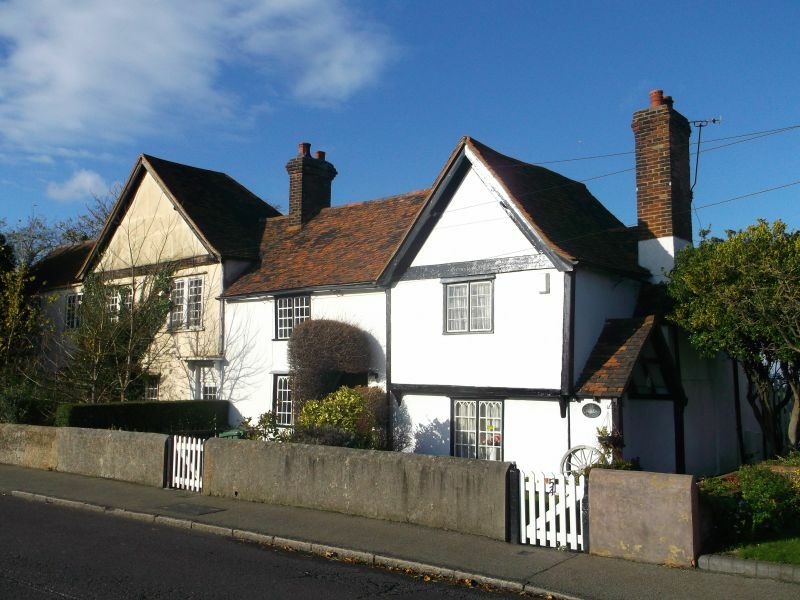 Cl6 house, timber-framed and plastered with red plain tile roof. Two storey. casements with small panes. C18 door with hood on shaped brackets.